With contributions from Duncan Double, Consultant psychiatrist Norfolk & Suffolk NHS Foundation Trust and founding member of The UK Critical Psychiatry Network, a platform for debate, discussion, lobbying and publication to critique the contemporary psychiatric system. Alastair Morgan, Senior Lecturer in Mental Health, Sheffield Hallam University. Morgan’s perspective encompasses critical theory and clinical practice, having worked as a qualified nurse in community adult mental health with marginalized and excluded groups. Angela Woods, Durham University. An inter-disciplinary medical humanities researcher and author of The Sublime Object of Psychiatry: Schizophrenia in Clinical and Cultural Theory. Editor’s note: this blog was originally posted here on the BMJ’s blogsite. Medical innovation appears to be similar—many failed attempts, but progress through testing and recording these. A recent systematic review found that proposed new treatments are about as likely to be worse as to be better than the current standard. Djulbegovic and colleagues  examined 743 trials from four cohorts of registered studies where they could get all the results—published or not (avoiding the positive spin of publication bias). For survival the average advantage was a relative improvement of just 5%, whereas for the primary endpoint it was a relative improvement of 9%. However, there was a wide spread around this small advance: sometimes new treatments could be much worse. The key lesson is to have humility about our innovations, and to put them to rigorous testing. We can then progress by finding the occasional incremental advance, and the even rarer breakthrough. The history of chemotherapy for childhood leukaemia illustrates this process well. In the 1940′s in Boston, the pathologist Sidney Farber thought folate might arrest the development of childhood leukaemia. However, the children he treated appeared to get worse, not better. Failure? Only temporarily. Reversing this idea suggested anti-folate drugs (such as methotrexate) might work, which did lead to some remissions, but which were only short lasting. However, that a drug might treat cancer was a paradigm shift that was then honed by trials of different doses, durations, combinations, etc. Most showed no improvement, but some did, so that over three decades of experimentation survival went from 0% to over 80%. So innovation is vital, but must go hand-in-hand with careful evaluation. Most of the improvements are sufficiently small that only rigorous testing will reliabily detect them. Without testing we end up, as with managerial re-disorganisation, in a random walk that may go nowhere. 2. Djulbegovic B, Kumar A, Glasziou PP, Perera R, Reljic T, Dent L, Raftery J, Johansen M, Di Tanna GL, Miladinovic B, Soares HP, Vist GE, Chalmers I. New treatments compared to established treatments in randomized trials. Cochrane Database Syst Rev. 2012 Oct 17;10:MR000024. 3. Spain P, Kadan-Lottick N (2010). Observations of unprecedented remissions following novel treatment for acute leukemia in children in 1948. JLL Bulletin: Commentaries on the history of treatment evaluation (www.jameslindlibrary.org). Paul Glasziou is professor of evidence based medicine at Bond University and a part time general practitioner. Originally posted in the International Health Humanities Network blog on 10 January 2013. Forgive me for the personal preamble to this blog post – but I want to contextualise what will follow. I was recently admitted to hospital for planned surgery, at the Queen Elizabeth Woolwich which comes under South London NHS Trust in the UK. I have a chronic health condition which has required many surgical procedures over the past 12 years. Prior to this operation, I had spent many months in a huge amount of pain. This had a great impact on my day to day life. Having worked in the NHS for many years, I now educate nurses as a lecturer. As with most healthcare professionals, I struggle immensely with being a patient, finding it anxiety provoking, and an experience I am not comfortable with – I border on phobic with hospital admissions. Hence, I was very, very frightened about this procedure, necessitating a longer stay and with greater complication potential than my previous surgeries. I need not have worried. Every single member of staff who cared for me, from domestic staff through to the nurses who were on duty during my admission and the medical staff, was outstanding. The nursing care was without fault – the nurses were compassionate, caring, had extremely good communication skills and demonstrated excellent clinical competence in terms of their pre and post operative care. Similarly, during the arranging months, I had much contact with administrative staff across both sites. All of these staff members were fantastic – polite, organised, supportive and calming at a time when I was struggling from a physical perspective and anxious about the procedure itself and the longer term implications of this. These staff are all a credit to the Trust, and were absolutely without fault in every communication I had with them. They really did go above and beyond their remit in helping us. The particular Trust that I was admitted to is undergoing a well-publicised and very challenging time – as indeed are most NHS services in the age of austerity. Is spite of this, the care I received was fantastic. Which got me to thinking the following – what was it about my care (aside from the physical benefits that have resulted) that meant I had such a positive experience? How does this relate to the IHHN’s core philosophy – ‘Bringing the Human Back into Health’? What could people take away from hearing about this? And how could I thank the staff, en masse, aside from the letter I wrote? HUMANITY….At every stage, I felt like I was treated as a human being, as Charley Baker, who has anxieties and aspirations, a life outside of the hospital setting and the condition, rather than as a number, a patient, a mere body to be mended. COMPASSION….The staff demonstrated genuine warmth and caring – the nurse who admitted me took the trouble to sit with me and put an arm around my shoulders when reassuring me about what was to come. This was a welcome tactile intervention in an otherwise coldly clinical environment. COMMUNICATION….The nursing and care staff did not appear to be too busy to listen, though I have no doubt that they were incredibly busy. Procedures were explained in full to me, and to my husband, and we were given ample time to ask questions. My Consultant Surgeon excels in this area, as did every member of nursing and care staff. This made a huge difference. I also witnessed the care they provided for the other women in my bay of five – and it mirrored mine in positivity. CONTINUITY….I have been under the care of Mr L. for many years, despite relocating to Derbyshire six years ago. On discussion with Mr L. and with family, we decided to keep my care at the London-based hospital. This continuity of care is vital in any long term condition. COMPETENCE….I have every faith in my consultant’s competence – and the care staff carried out every intervention and procedure competently, kindly and swiftly. One issue with educating nurses is that inevitably I scrutinise procedures and results – a little knowledge is a dangerous thing! But I did not need to have worried. These are simple things, and things which I am sure I do not need to preach about to healthcare professionals at all levels. But they are things that can be hard to achieve in a time when staff numbers are being reduced, the drive for economic efficiency is at the forefront of developments, and when the caring professionals – in particular, nurses – are facing what seems to be a barrage of criticism at times in the press. I wanted to write this blog post to celebrate the care I received, to thank the care teams involved, and to add my own small contribution towards buffering the seemingly relentless negativity that can surround issues such as these. I wrote to thank the hospital and the Trust, and also contacted them prior to writing this blog. As one of their communications officers said, while many people do experience good care, these are not the stories that make headline news, or are often acknowledged at a wider level. I’m glad to be in a position to celebrate the contributions that staff are making, in spite of incredibly challenging times. Thank you to them all. Originally posted in the HSJ blog Leadership in Mental Health, 17 December 2012 and re-posted in the Centre for Mental Health blog on 3 January 2013. From Leadership in Mental Health. 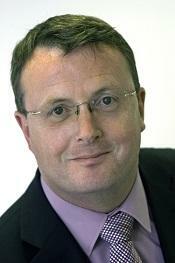 Sean Duggan is chief executive at the Centre for Mental Health. This month the NHS has been reminded from all directions of the scale of the financial challenge it faces. While much of the focus of debate about the NHS continues to be the structural changes that are now taking shape, the bigger question remains how the health and care system is going to cope with the financial pressure it faces in the coming years. At the beginning of December, the chancellor’s autumn statement announced the government’s intention to continue to maintain health spending up to 2015/16 while most other departments are likely to continue to experience real terms reductions in their funding. But a report by the Nuffield Trust the same week warned that the NHS could face a “funding gap” of up to £54 billion by 2012/22 without real terms funding increases. In the shorter term, it warned, the NHS faces the prospect of cutting services or reducing the quality of care by 2014/15 as the prospect of making continued productivity gains begins to tail off − in other words, many of the more painless methods of saving money are going to be exhausted. The challenges facing the NHS are to some extent much less acute than those of many other public services. Local authority budgets, the police and welfare spending are all falling much more rapidly. But taken together with social care, the NHS and its partners face the longer term trend of steadily rising demand as the population ages and chronic illness and disability take up an ever larger proportion of its funding. Whether the scale of the “Nicholson challenge” is £15 billion or £54 billion, the implications for the health and care system remain much the same. Small-scale, one-off efficiency savings are not going to do the trick. The entire system has to reform itself, not so much structurally as in the way it supports people’s health, wellbeing and independence. Artificial divides, be they between health and social care, physical and mental health, or primary and secondary care, need to be dismantled. We have heard a lot about integration this year but too often it has been two dimensional and focused on only part of the picture. From the perspective of the service user, any form of dis-integration is unhelpful and sometimes disastrous. One of the biggest forms of dis-integration in our system continues to be that between physical and mental health support. Yet this year the Centre for Mental Health reported clear evidence that up to 10 per cent of the NHS budget is spent on the extra costs of treating long-term physical illness caused by the coexistence of mental health problems. From having liaison psychiatry teams in general hospitals to better collaborative care arrangements in the community, much of this cost could be saved. The first clinical commissioning groups to be authorised will begin to face some stark choices in the way they spend their money next year. Most are already grappling with these dilemmas as they consider how to cut costs. Perhaps uniquely among public service commissioners, they do not have to make dramatic immediate cuts to their spending. They have the opportunity − the necessity in fact − to take their time; to reform patterns of service provision and established ways of working; to shape health services on a different footing. A decade of austerity may in the end spur on some long overdue fundamental changes to our health and care system. To do otherwise is to risk the health and wellbeing of every one of us in the years to come.